TRAIL: From the west(top) end: the trail leaves Jolly Mountain Trails #1307 and descends very sharply (35% grade) into the upper basin of Jolly Creek. 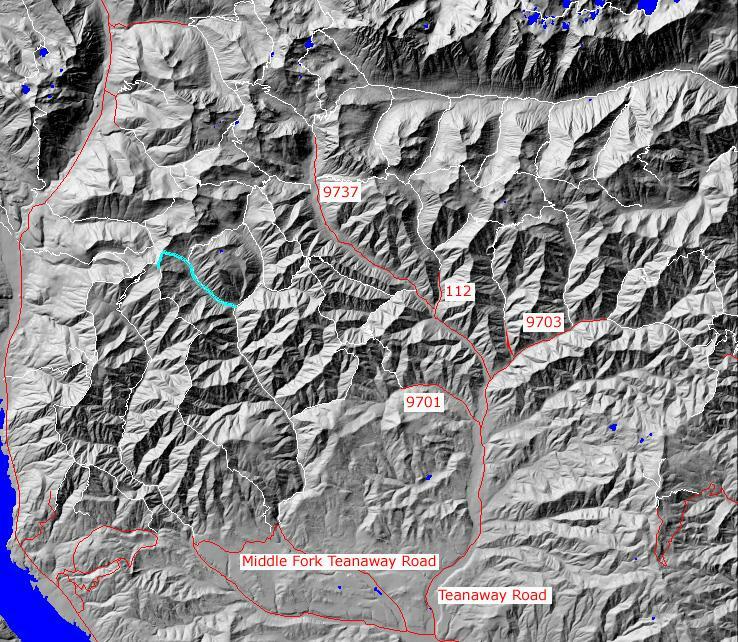 It has several switchbacks until it cross Jolly Creek to the north and hits the junction with Skookum basin trail #1393.2 From here it descends steadily to the junction with Middle Fork Teanaway #1393. This trail is extremely steep at the upper end and is very rugged and eroded in the basin area. The lower end if fairly good. 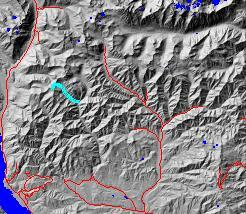 SETTING: Ridetop, open hillsides, avalanche paths, stream, valley bottom, you stand of tress(100 years), subapline zone. 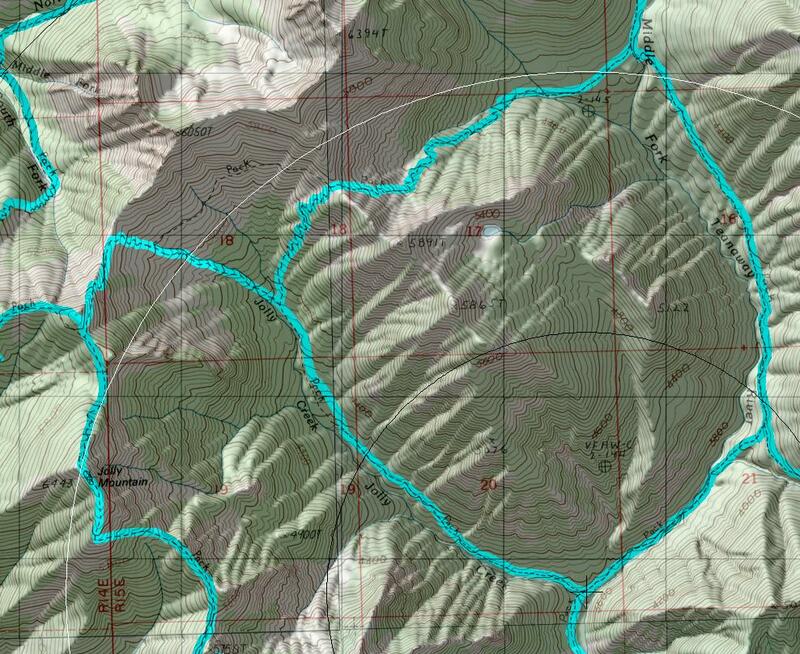 OTHER TRAILS: Jolly Mountain #1307, Skookum Basin #1393.2, Middle Fork Teanaway #1393, Yellow Hill #1222.